The Libbey 15256 is a tall, clear cooler glass. It is part of the Gibraltar line, which features a rounded top for comfortable drinking and an octagonal bottom that provides an easier surface for gripping. 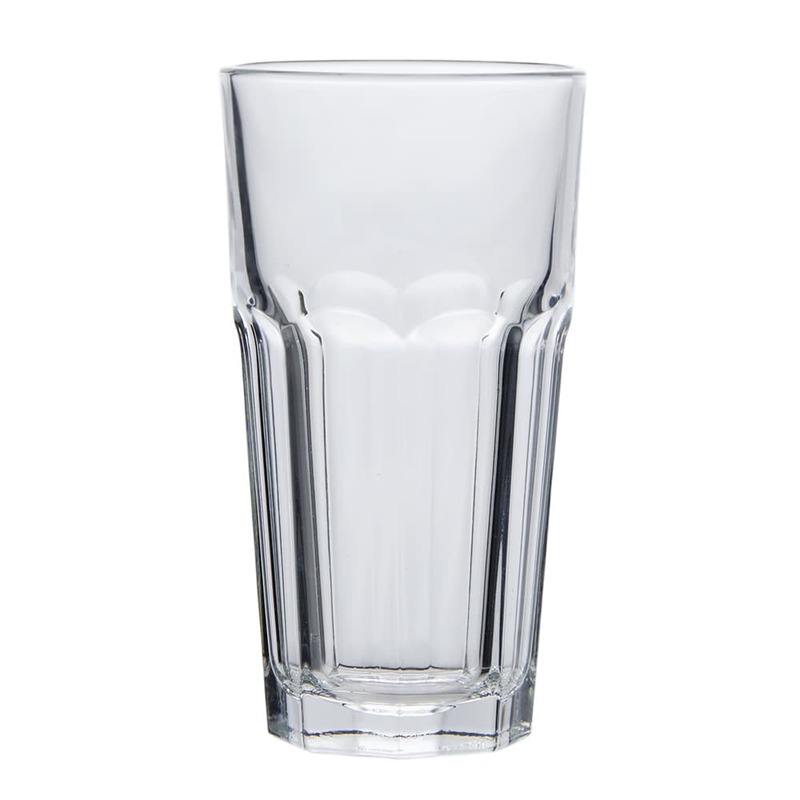 The cooler glass holds 16 ounces, making it ideal for serving soda, tea, or beer. 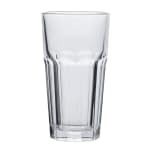 This Libbey cooler glass is dishwasher-safe, making it easy to clean and maintain in a commercial kitchen. Glasses in the Gibraltar line have Libbey's DuraTuff treatment, which means they have received a specialized heat treatment to make them more durable and resistant to thermal shock than tempered glass. DuraTuff glasses resist breakage, but when they do break they do so in large pieces, as opposed to shattering like tempered glass. Between the costs of replacing glasses and the time spent cleaning up shattered glass, investing in DuraTuff glasses from Libbey can save you a lot of money in the long run, as well as being safer for your customers and servers. Overall Dimensions: 63⁄8 in. H x 33⁄8 in. top dia. x 21⁄2 in. bottom dia.